The design of hospitals and patient rooms in hospitals has undergone considerable changes over the past two decades. These changes have largely happened because of technological evolution in the way we manage information and documentation about patients and their care, and it is widely recognized that good hospital and patient room design can save lives. Computers have changed virtually everything about how patient care is managed today. Physicians use computers to get up-to-the-minute information about their patients and their status, including blood test results, vital signs, assessments and consult reports from other professionals, and diagnostics such as X-rays, CT scans, and more. Nurses and allied health professionals also use computers. For instance, nurses rely on the computer to check a patient’s allergies prior to administering medications, verify the medication, route, and dosage, and document their administration. They also use computers to update the plan of care, document assessments and vital signs, and more. One of the most common frustrations healthcare providers face in their day-to-day work is a lack of accessible equipment with which they can do their work. The reality of the modern healthcare workplace is that almost all professionals need access to hospital computer carts consistently throughout most of the day. However, in most workplaces, there are fewer computer carts than there are doctors, nurses, dieticians, physiotherapists, and other health professionals. This represents a great inefficiency in the provision of patient care and unfortunate delays for timely treatment as well as a poor use of the time of valuable professionals as they wait to access a computer. This can mean everything from medications being given late, to surgeries being delayed, and even more serious delays or errors in some cases. Hospital computer carts and their location are often the difference between these incidents occurring or not. Even when computers are plentiful enough, great inefficiencies often exist in where and how they are accessed. 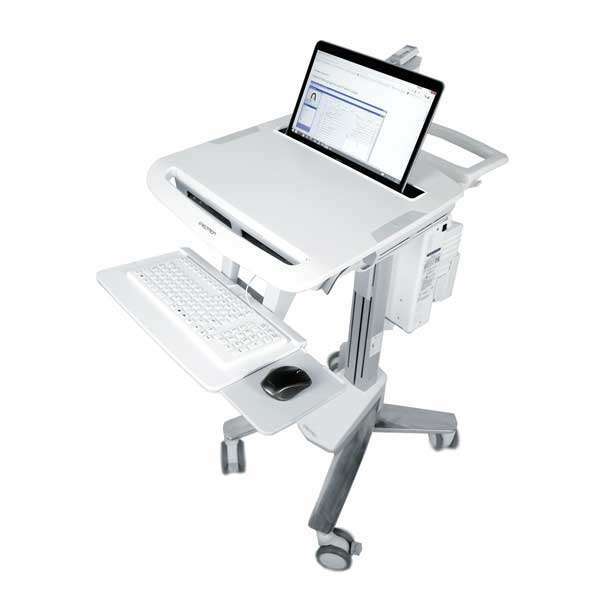 For example, when the computers are located on stationary desks or are far away from the point of care, nurses waste a great deal of time walking back and forth between patient rooms, the medication room, and the location where computers are utilized. Having a hospital cart on wheels in each patient room is the safest and most efficient layout for patient care in today’s modern healthcare setting. Using computer carts at the point of care means you are looking at, talking to, and assessing the patient when you have all of their relevant health information directly at your fingertips. For nurses, it means they have the list of patient medications, allergies, vital signs, and other relevant information when they are giving medications. This minimizes the risk of errors in medication administration and documentation and helps keep patients safe. It also drastically reduces inefficiencies in patient care and saves nurses and other professionals providing direct patient care a great deal of time. On a macroscopic level, this could help reduce the cost of care as well as play a role in solving the healthcare staffing shortage the country is currently facing. 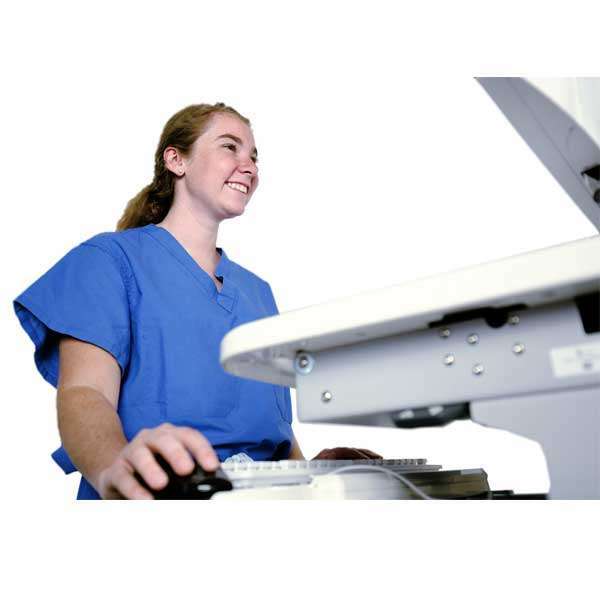 Scott-Clark Medical offers excellent and attentive customer service and the high-quality, durable medical carts for use in the hospital setting.